Daniel joined Campbells in 2018 as a senior associate in our Corporate Department. His practice covers investment funds, cross-border mergers and acquisitions, joint ventures, capital markets and asset finance. Daniel advises on a wide variety of corporate transactions, including cross-border mergers and acquisitions, joint ventures, stock market listings and shareholder arrangements and is co-author of AOSphere’s BVI Derivatives Guide. 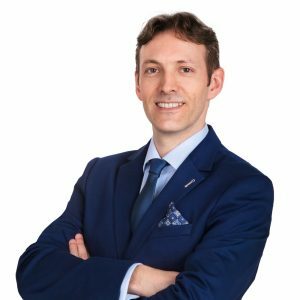 Daniel advises clients on a range of finance matters including lending and taking security and is co-author of LexisNexis’ BVI Cross-Border Finance Guide. Daniel represents hedge fund managers and private equity firms on the structuring, formation, regulation and ongoing operation of investment funds across a wide array of asset classes. He also advises fund investors and service providers on investment fund related matters.